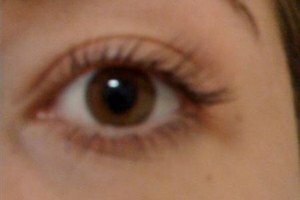 Fake eyelashes are meant to draw attention to the eyes. 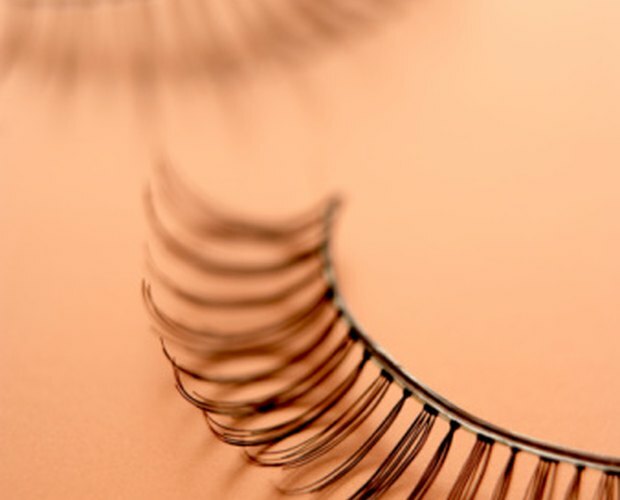 Fake eyelashes come in many lengths and can be used for all occasions from a costume party to a night out on the town. Fake eyelashes can be applied in the comfort of your own home. However, before applying the eyelashes, it’s best to research the glue that you are using, as some glues can irritate your skin. Be careful when applying the glue, as the glue can cause damage to your eyes if it should come in contact with them. Read the package of your fake eyelashes. Every brand is different. Some eyelash brands come with the glue included, while others require you to purchase the glue separately. Some brands also require a specific type of glue in order for the lashes to hold effectively. Always purchase the glue that is recommended by the manufacturer of the lashes. Also look into purchasing eyelashes that have an adhesive strip connected to them. Be careful when applying the lashes, as the glue can irritate the eye even if you do not have an allergy. It’s best to place a line of glue on the back of your hand and then run the strip of the eyelashes over the glue. Apply the eyelashes so that they are not on top of your eyelashes, but so that they are directly next to your eyelash line. Try not to leave a gap in the skin between your real lashes and your false lashes. Look into the various styles of eyelash adhesives. Some appear white during application but dry clear for a more realistic look. Others turn black upon drying to match the color of the eyelashes. 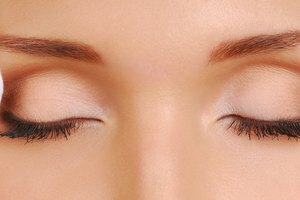 Always make sure to trim the eyelashes before you apply them, as trimming them once they are applied may cause injury. Be aware of the contents of the eyelash glue that you are using. Some eyelash glues are made with elements such as formaldehyde or latex. These items can cause irritation or allergic reactions in some people. Do not use glue that contains these elements if you think that you may have an allergy to one of these items. Pay attention to the instructions on the glue container when removing your fake eyelashes. Some brands require you to get them wet with water while others need olive oil or other substances rubbed on them to loosed the adhesive. Remove the lashes with care so that you don’t pull out your real lashes in the process.